I wish there was a way to get those little grey soldiers. They were so ubiquitous back in the day, but all mine are gone now. So cool that you did a post focused on this awesome playset. I used to drool over this set all the time in Fedco. That tank freakin’ RULES! 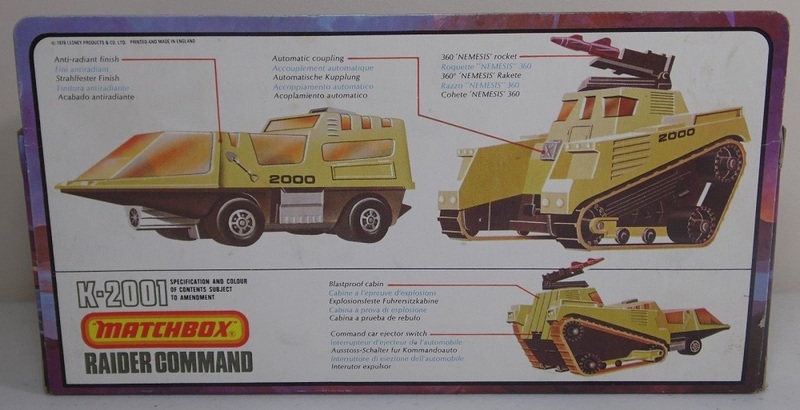 Man, I LOVED this toy as a kid. It’s was the best. I had completely forgotten about the dudes it came with. Thank you SO MUCH for sharing this. Welcome. Glad you enjoyed it. 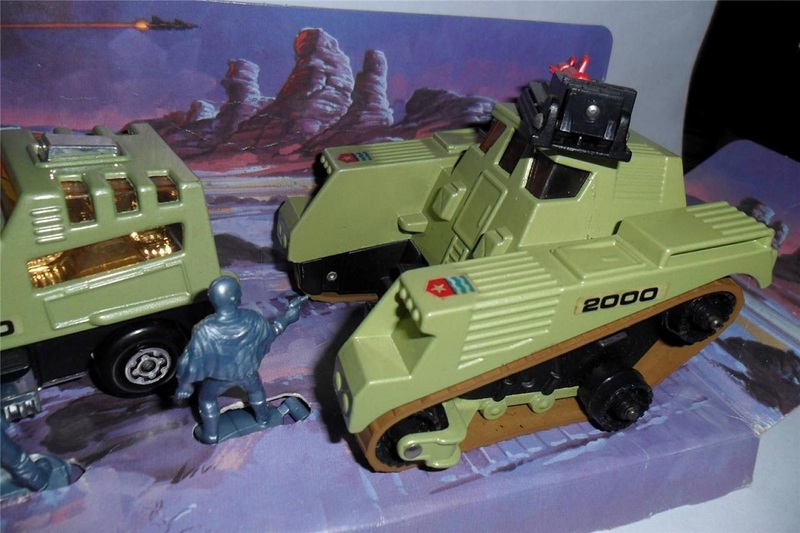 I’m doing a post on each vehicle because I think they’re so unique (and not shabbily made, like toys today). 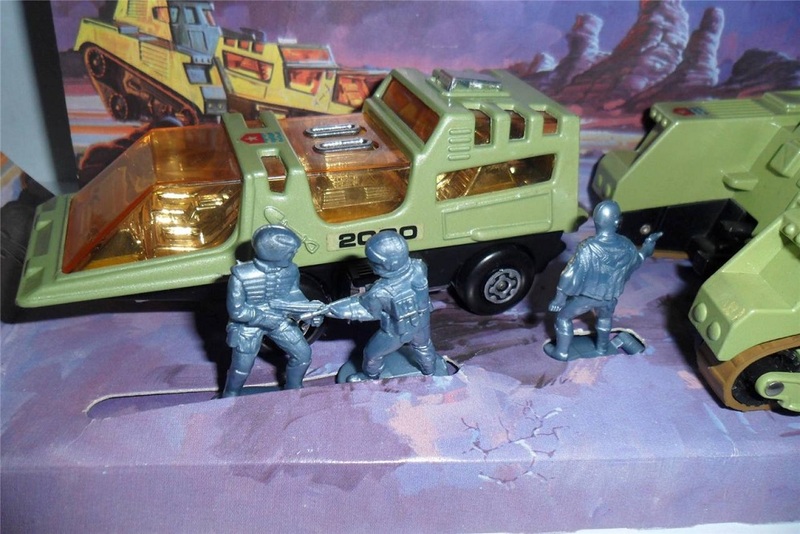 Still have the raider command. 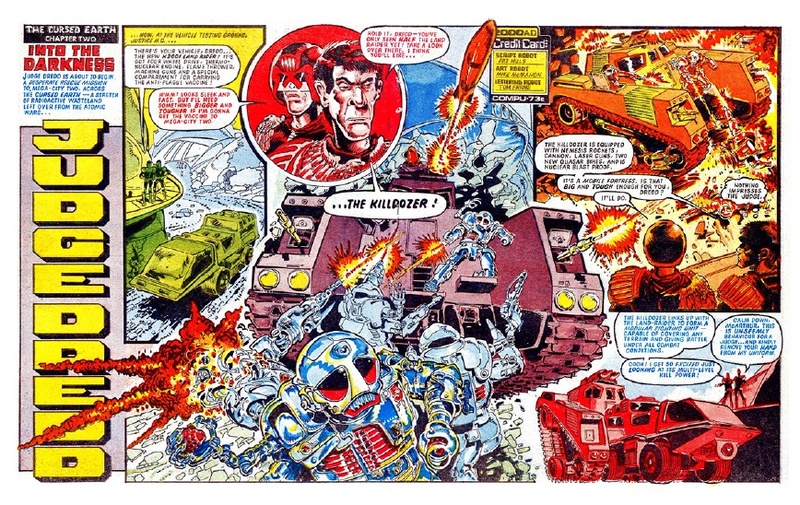 Men have gone, missiles blown up and rubber tracks deteriorated but still great playing memories. 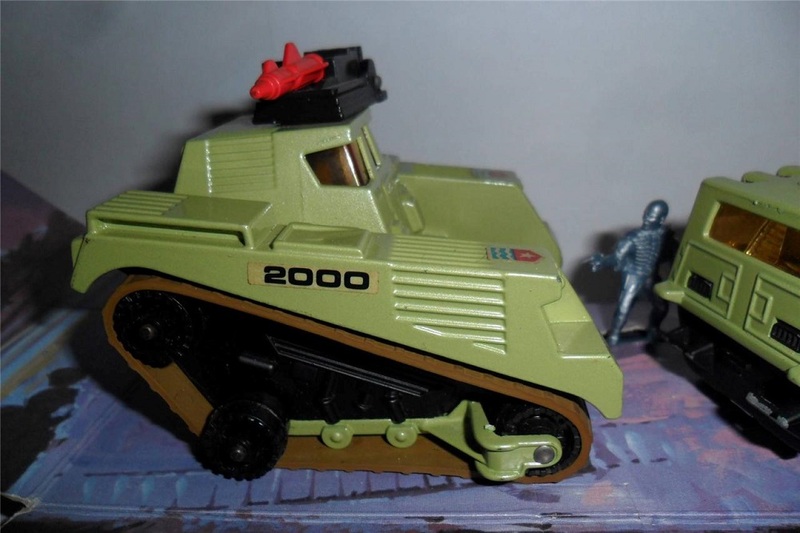 Matchbox used to make greatest toys, as did Gorgi, Dinky and Britains. 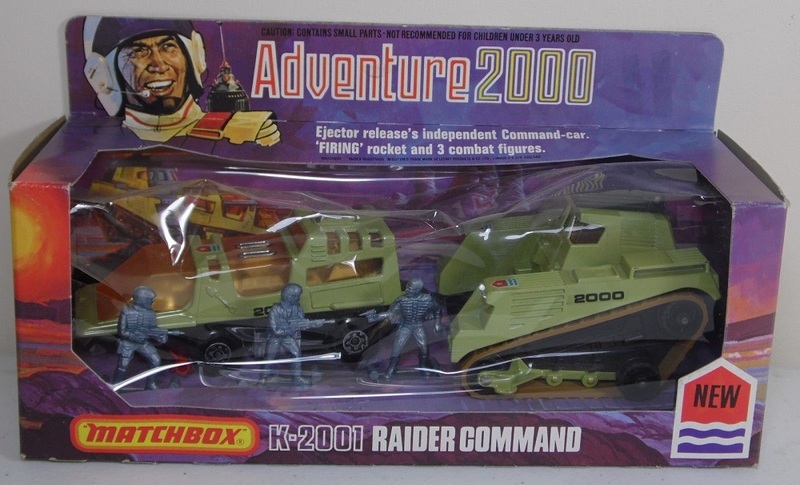 I managed to pick up a NIB “Raider Command” (vehicles only) pair at a local boot sale a few weeks back. The canopies were still intact, and the tracks likewise – but the missile had been lost. The dredd fan in me squee’d when I saw it for the princely sum of $15 (AUD). Especially after I saw another one a few stalls further down, with damaged canopies asking $40 for their one also NIB.